Nothing beats reinventing the way you wear an item you already own. Unless, of course, the updated styling trick also happens to flatter your figure! Case in point: this fresh, alluring way of wearing a classic button-down shirt. All you have to do is leave a few extra buttons unbuttoned to show off a little more skin, creating a deep-V neckline and instantly elongating the upper half of your body. Whether you’re hoping to appear a little slimmer or just looking for a new way to wear your old button-down blouse, we suggest testing out this trick. 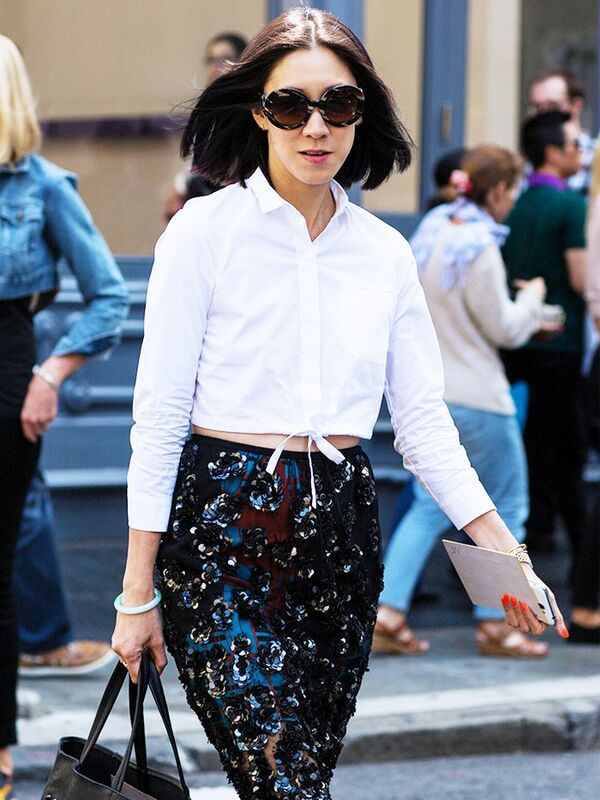 Scroll through for more proof from our favorite street style stars! Do you have a secret styling trick you’d like to share? Give us the details in the comments below!